An Excellent Toy Bridge Building Set - Join the Building Craze! Another bridge building project? Are you tired of finding materials to build a model bridge? Tired of fiddling with toothpicks and glue? There is an easier way – with this toy bridge building set! 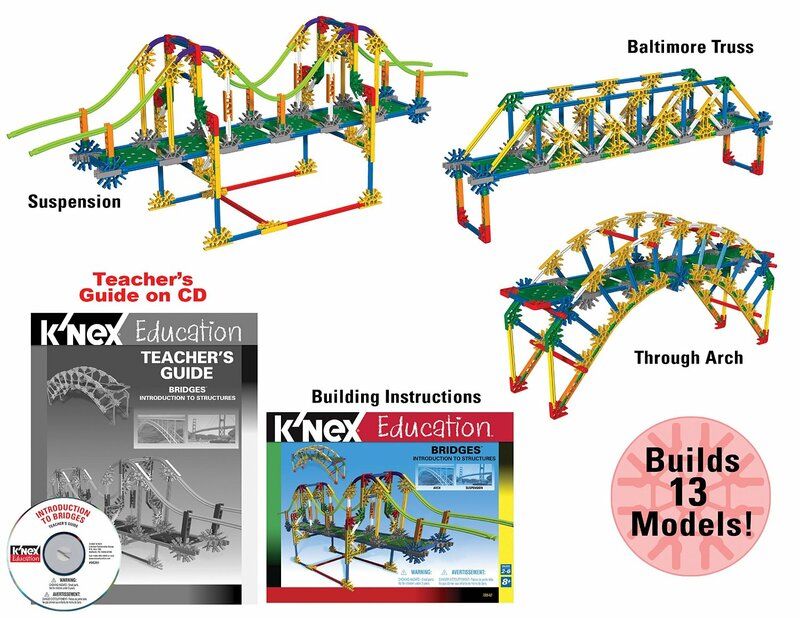 The set covers all aspects that children need to learn about bridge building including the history, function, structural design and strength of bridges. They are given the opportunity to develop their skills and knowledge in a hands-on way (a key principle in STEM education). The information and resources contained in the Teacher’s Guide will help you to guide the learning process to build their understanding of the scientific, technical and design concepts whether you are a teacher or a parent. It also helps you to channel their inquiries into meaningful, active learning experiences. This is a valuable tool for to help your child get the most out of this set. The set contains pieces to build 13 fully-functioning models of real-world structures, one at a time. You get to build beam bridges, various truss bridges, a the cantilever bridge, a bascule bridge, arch bridges, a suspension bridge, a single-tower cable-stayed, and a double-tower cable stayed bridge. This is not a very big set, but it gets the job done. Kids will be able to build the different models and gain a better understanding of the different bridge structures and how they work while having great fun at the same time. The set is also not expensive and is a good investment in your child’s education. If you have this set, I would love to hear from you. Was it a worthwhile purchase? How did the kids benefit from it? Leave a comment below and let us know. 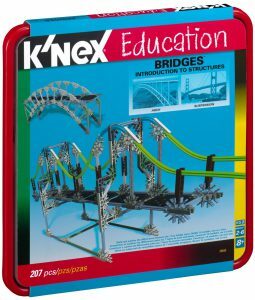 Take a look at these other great educational sets: the K’Nex Simple Machines and the bigger K’Nex Exploring Machines set. This looks a great present for my nephew. He loves playing with a bridge building game he has on his phone so would love to actually get to build real models too. This is the sort of cheeky toy that is so fun the child has know idea its actually educational too lol. Could really instil a great engineering mentality into a child. that is exactly what I love about these toys – the child is having fun and learning at the same time, without even knowing it. They get to learn new concepts without even realizing that they are actually learning. Depending on the age of your nephew you might want to take a look at the bigger bridge building set.